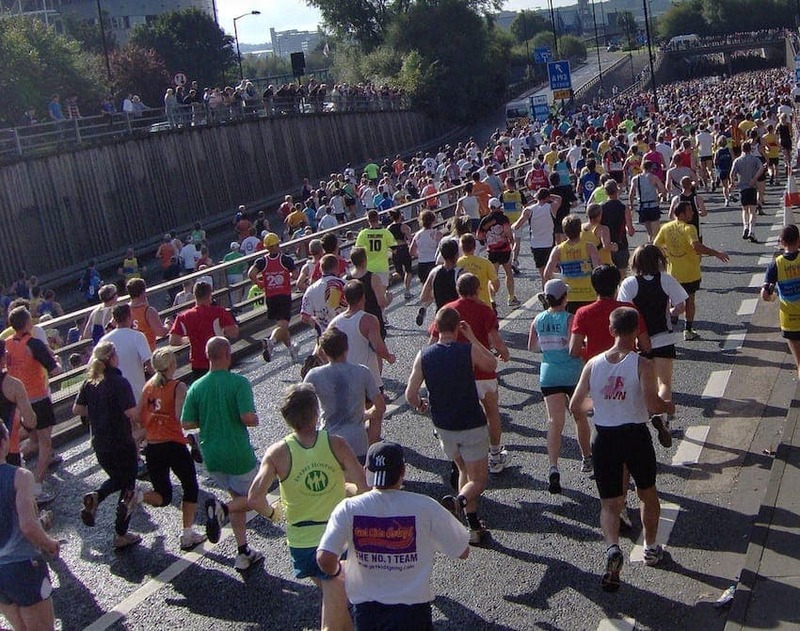 The Great North Run is the largest half marathon in the world. Participants run from Newcastle upon Tyne crossing the iconic Tyne Bridge and finishing with a mile along the seafront at South Shields. The Red Arrows formation team make several appearances in the skies above the route, adding to the spectacle. From 12,000 competitors in 1981 the event has grown to 54,000 in 2011 and is now one of the biggest running events in the world, and the biggest in the UK. Extensive coverage is given to the event on TV.